Running is growing in popularity both in Israel and abroad as a great way to get fit, relieve stress, and even socialize in the form of running clubs. Why not combine your love of running with international travel? 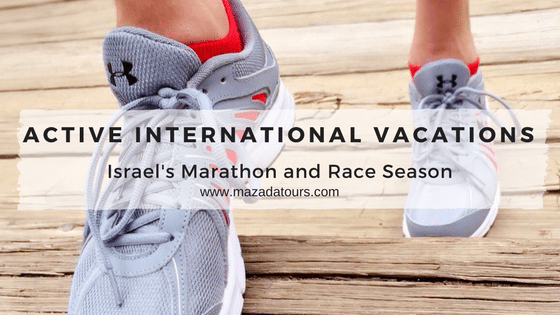 Israel offers many races which are a great way to see the country in a different way. Due to the extreme heat in Israel, the running season kicks off in the fall and continues through spring, avoiding the summer months. The Bible Marathon offers races from 5k to 42.2k. It takes place on 6 October 2017. It follows the path mentioned in the Book of Samuel, where the man of Benjamin ran from the battlefield at Even Ha’ezer (modern day Rosh Ha’ayin) to Shiloh – exactly 42 km, the distance of the modern marathon. The Tel Aviv Night Run occurs this year on 31 October 2017. This is a 10 km urban run through the city that never sleeps. It brings in an estimated 25,000 runners. Further south, you can participate in the Eilat Desert Marathon on 17 November 2017. The route offers breathtaking views, and begins in the desert and ends on the shore of the Red Sea. 2018 kicks off with the Tiberias Marathon on 5 January 2018. You will run along the beautiful shore of the Kinneret (Sea of Galilee). There will even be a “pasta evening” the night before the race so runners can get their fill of carbohydrates. The 215 kilometer Mountain to the Valley Relay Race will be on 26-27 April 2018. As the name suggests, the race starts in northern Israel and extends to the Yizrael valley. It’s divided into 24 segments ranging from 5-12 kilometers each, and teams take turns running each leg of the journey. 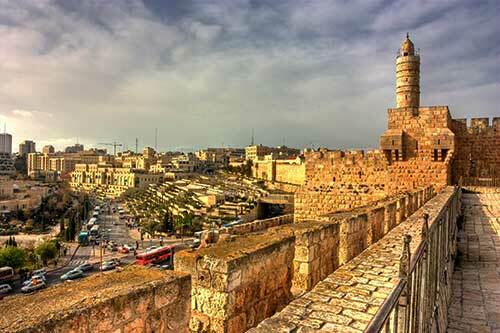 While you’re visiting Israel, of course, you will want to take advantage of Mazada Tours convenient services! We offer airport pick-up and private car transfers, domestic flights (such as to your race in Eilat), and of course, tours! Enjoy our one-day organized tours that depart daily, and let us arrange your hotel accommodations for you – after all, you’ve already got plenty to do with your race training schedule! We look forward to hearing from you at [email protected] . Previous postNow Offering: New Tours!